When given the option to be induced a week early, and knowing we would be out of town on her due date, Shalae enthusiastically said yes! Because Jon usually gets light-headed during delivery, Shalae asked if I was willing to be in the delivery room, and of course I agreed! Tuesday was the big day. After playing the hurry and wait game from mid-morning until about 5:00 in the afternoon, Baby Brown was finally ready to make his debut. As it turned out, Shalae only had to push through a few contractions, and Jon stayed by her side through the entire delivery. I wasn’t needed after all, but I’m so glad I was there to witness the birth of our newest grandson! Even though we were all focused on Shalae’s breathing and Baby making his way into the world, I couldn’t help notice how beautiful Shalae was as she gracefully held her breath, and it was a tender moment when Baby took his first breath. I felt so blessed to experience such a precious miracle. It was amazing to watch the calm of Mom and Dad with their newborn just a few minutes after delivery amid the busyness of the nurses and doctor. Time stood still and nothing else mattered at that moment. Baby Brown was born Tuesday evening at about six o’clock and weighed in at 6 lbs. 6 oz. and measured 19” long. I keep calling this new arrival Baby because that’s been his name for over eight months. In fact, family and friends have given countless suggestions and voted on several names over the months. Finally, early this morning, Shalae and Jon sent a text and asked us to get Ashton’s, Cooper’s, and Phoebe’s thoughts on two names that were new to the list. 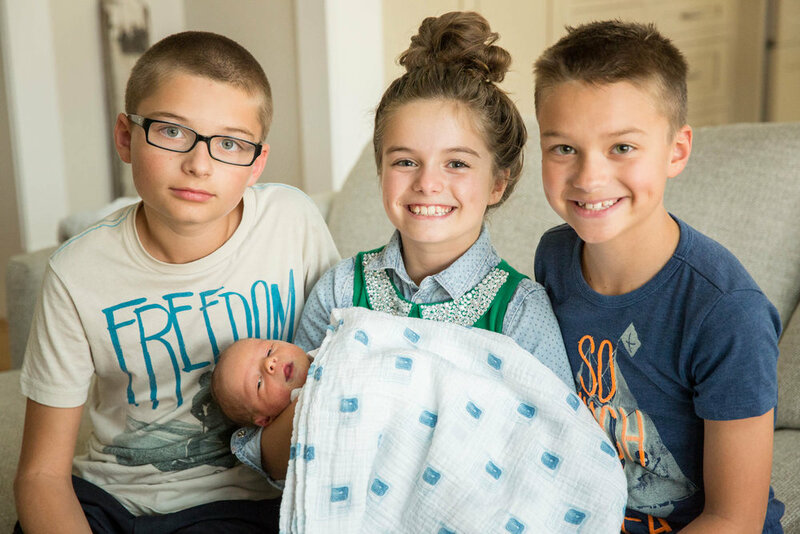 They expected to be home before the kids got out of school, but they couldn’t leave the hospital without deciding on a name, and they wanted the kids to help make the final decision. Owen Davis Brown is sweet and perfect in every way, and we’re all so excited to have him here and part of our family! I had to practically pull myself away from this little bundle of joy several times during the last two days, and I’m pretty sure Baby Owen will be our last stop before we depart for OnStage and our first stop once we return!